This is a recent photo of the white deer seen around Hopper Road. 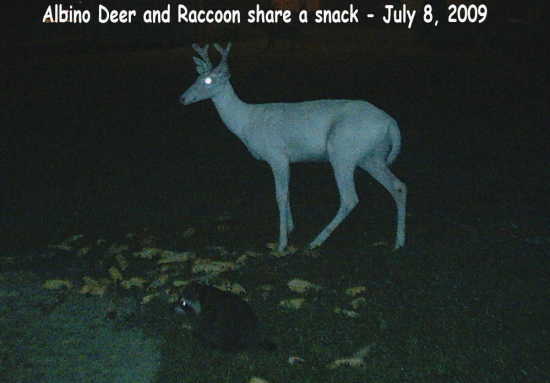 The picture was taken with my brother's wildlife camera at night. The deer's eyes reflect the flash causing them to look white. Note that he is now a little over 1 year old and has 4 points.